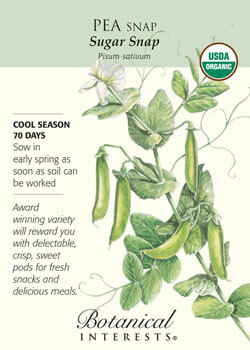 Cool season varieties are best harvested in cooler temperatures of spring or fall. The temperature is important because heat can encourage bolting (premature flowering), which causes bitterness in crops like lettuce and cilantro. Other crops, like broccoli or cabbage, may fail to produce a harvest-able crown or head if temperatures are consistently warm, and they aren’t able to mature in cooler temperatures. Many plants, including cool season varieties, are able to convert starch into sugar, which lowers their freezing point. This “sweet” conversion not only protects plants from frost, but also can make for a literally sweeter harvest. Botanical Interests seed, available in our garden center, offers many heat-tolerant and bolt-resistant cool season crops, making home gardening more successful! Several cool season varieties can be started in early spring in the garden and later be rotated out for warm season crops. Click here for sowing guides from Botanical Interests.